If you ever happen to be at Garibaldi train station in Milan, go to the new SNCF boutique lit by the TamTam. The French Rail company has open this dependance in order to satisfy an always growing demand. 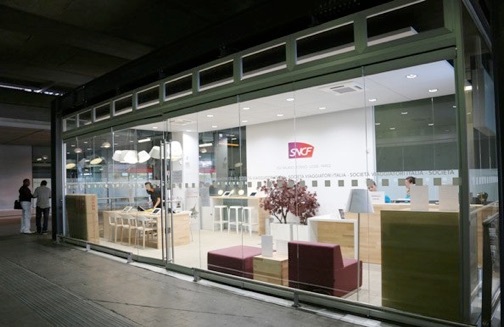 A light flooded, modern and simple designed space helps the customer experiencing the wide range of travel facilities the SNCF offers.